Today’s technologically informed world is the trend that gave rise to the idea of the “Belize Data System”. A team of three partners who have had much experience with the inner workings of public and private organizations sighted a very important need. The team saw that Organizations in Belize were all lacking in the ability to retrieve vital information regarding members of the general public quickly and efficiently. Obtaining documents such as a police record and employment letter were observed to take a significant length of time to be completed. In addition, in some instances when the documents were received, inaccuracies could be sighted. The general public often became impatient and enraged at times when trying to access these documents from different organizations. Members of the team experienced these frustrating situations at the work place in the public and private sectors. This situation prompted the inquisition of how this problem could be remedied. The methodology used to gather information was by means of the questionnaire. The Technology Adapted Model (TAM) questionnaire sought to question managers of organizations on several fronts to determine if it is a legitimate problem. The main intent was to find out if managers had interest in a new way to acquire these data. Using Information Technology, the team knew that the problem could be remedied in the short term and eradicated in the long term. This gave birth to the Belize Data System. 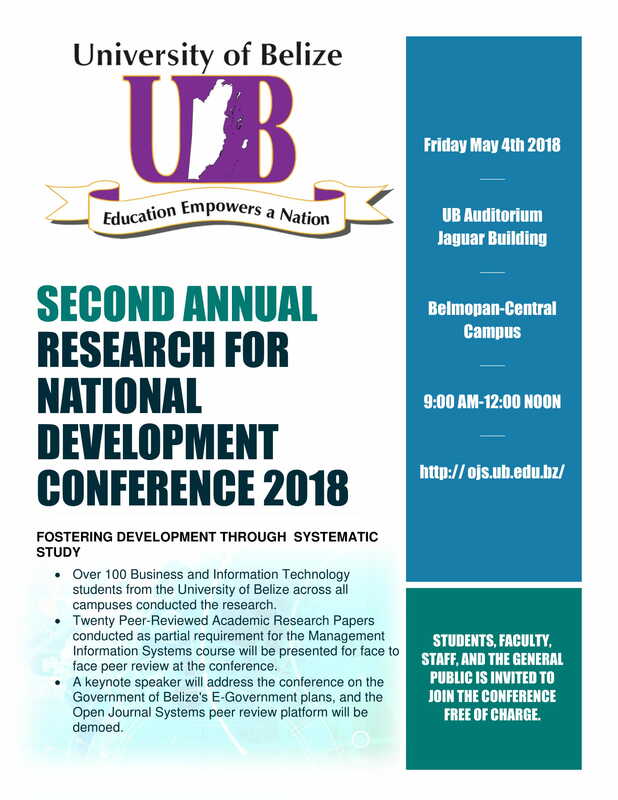 The “Belize Data System” then, is a new concept that is being looked at to verify its applicability and usefulness to managers in the country of Belize. Information technology is today our means of accessing information quickly and efficiently. The conclusion of this paper sites the limitation of this survey that opens the avenue for additional research into data systems for Belize. CHO, Acela Lupita. A QUESTIONNAIRE APPROACH BASED ON THE TECHNOLOGY ACCEPTANCE MODEL FOR BELIZE DATA SYSTEM. Proceedings of the RNDC, [S.l. ], v. 2, n. 1, may 2018. Available at: <http://ojs.ub.edu.bz/index.php/PRNDC/article/view/129>. Date accessed: 19 apr. 2019.